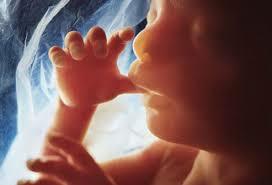 The matter of abortion is an emotive subject that has long interested me. I have gone out on a limb saying that aborting a baby is wrong because that which is growing inside a mother’s womb is life and the decision to terminate life, specifically what hasn’t come to full term and requiring the safety of the womb to develop, is God’s alone. If there is a caveat, it is a rare one and that is if by going to full term the mother’s own life is put in danger. The UK 1967 Abortion Act was a landmark decision, just as the 1973 Roe vs Wade US Supreme Court decision was, since it made legal what hitherto was illegal. The intention behind the act was at least on the surface laudable since it was done to protect the woman and was meant to be used in exceptional circumstances, even though the reality is that some 200000 babies get aborted each year in the UK, often merely because of an unwanted pregnancy (and across the world that figure is staggeringly 50 million). The only part of the UK to not allow abortion is Northern Ireland, although pressure is being placed to change this and, regrettably, even the UK political parties, supposedly neutral on matters of conscience, have added to that pressure. The other part of Ireland, Eire (separate from the UK of course), has just put the case to the people in a referendum. The result was 2:1 in favour of reversing a constitutional amendment disallowing abortion, amidst jubilant scenes that women can now make this decision. I am mindful of several woman friends closer to home that are just as delighted. These are good people who are beholden to protect life but do not see the fetus in the womb as being life in the way you and I are, seeing the main issue to do with empowering women. I was hopeful that the 1967 Abortion Act would be repealed long ago and in the early days attempts were made to do so or at least add to the restrictions and reduce the time an abortion can be made. Some ‘progress’ was made e.g. the maximum term an abortion can be carried out is now 24 weeks. But that was a long term ago and the matter seems to have been dropped from the national debate. Like the late Malcolm Muggeridge, a journalist, wit and man of letters who I admired in my teens, who changed from being an agnostic to Christian, I see some parallel between the move to make abortion illegal to that by Wilberforce, which eventually overcame many obstacles and was successful in abolishing slavery. If anything things have got worse. Organisations as different as the Royal College of Nursing and Hope not Hate have supported abortion, right up to full term. Those who oppose abortion have in the main kept quiet and those who support it have become more assertive. One glimmer of hope has been under the US Trump administration. While it is true that as a man it is difficult to put myself in the place of a woman with an unwanted pregnancy, as a human being I feel I must add to the call to protect life. While this includes life after birth and right up to death and giving support to new life coming into the world, it means that a woman’s right to choose should not be placed above that of a baby coming into the world. 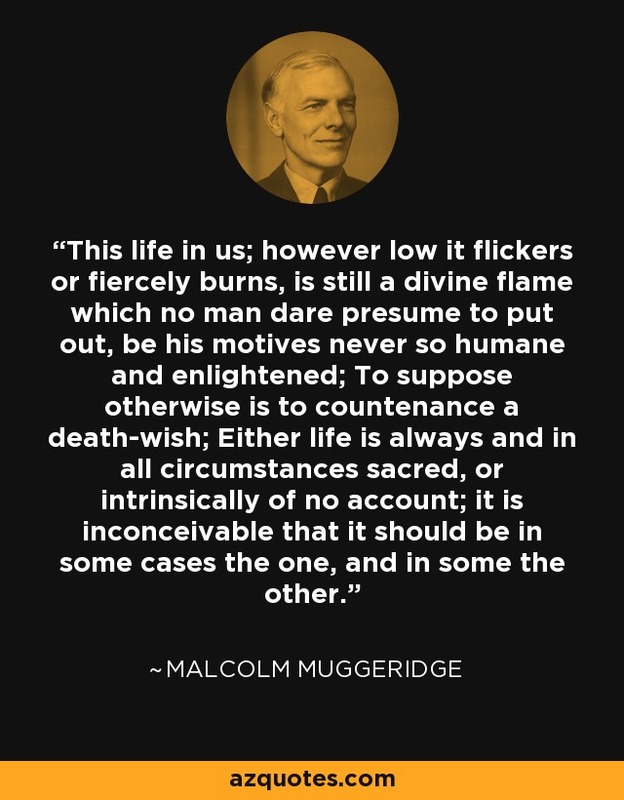 I recognize we live in a crazy world that largely rejects authentic Christianity and abortion is just one of the elements of the culture wars currently raging, but the last word on the matter should go to Malcolm Muggeridge.